Spoiler alert: There’s a cowbell involved. 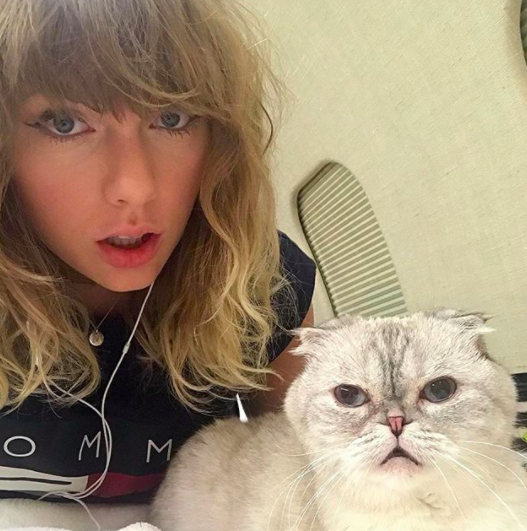 So, in case you didn’t know, Taylor Swift is SUPER protective of her albums before they’re officially released. Her music is often the target of leaks — so she has to be extra-cautious about who has access to her recordings before they’re made public. But in some cases, that’s extremely difficult to do! For example, how do you film a music video while making sure that nobody on set leaks the track? 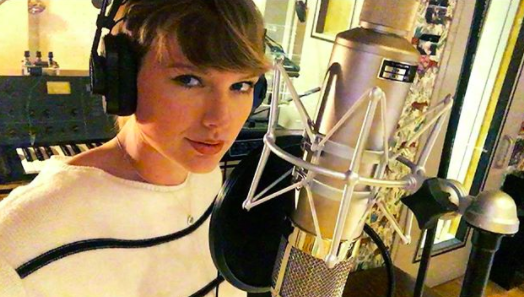 Well, if you’re Taylor Swift, here’s what you do: You make sure nobody on set can HEAR the track in the first place. “I commend [my dancers] fully because um…they’ve been pretending like there’s music playing when there’s not,” Taylor says. “I have these in my ears,” she says, pulling out some earpieces that she wears so she can hear the track. So what is a click track exactly? It’s basically a single cowbell that goes to the beat of the song, so the extras can dance in rhythm. 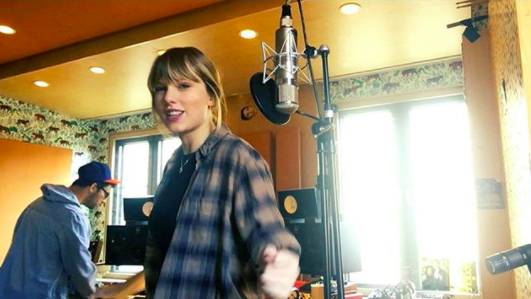 Oh, and here’s another fun behind-the-scenes secret: While collabing with Ed Sheeran, Taylor didn’t even send HIM the track. She wouldn't ever send new songs, no. I hear them but it has to be with her. I remember when I did a song with her for her album, I was in San Francisco and they sent someone with a locked briefcase with an iPad and one song on it and they flew to San Francisco, and they played me the song I've done with her. And they were like, “Do you like it?” I was like, “Yeah.” And then they took it back. That's how you hear them.